ვალტ ვან ბეკი - ბელგიელი ხელოვანი, ცხოვრობს და მუშაობს ბრიუსელში. 2009 წლის დასაწყისში ვალტ ვან ბეკმა დააარსა WaiWai Space, დამოუკიდებელი სახელოვნებო სივრცე ბრიუსელის ცენტრში იმ მიზნით, რომ გარდა საკუთარი ნამუშევრებისა ეჩვენებინა სხვა ხელოვანების ნამუშევრებიც და ეთანამშრომლა სხვა სახელოვნებო სივრცეებთან. ინგე ვანდენსანდე - გრაფიკოს დიზაინერი, ცხოვრობს და მუშაობს ბრიუსელში. ინგე ვანდენსადი უძღვება პროექტს M’ATUVU, რომელიც არის ადგილი საინტერესო ღონისძიებებისთვის, გამოფენებისთვის, კონცერტებისთვის ან რაიმე სხვისთვის ბრიუსელის ცენტრში მაღაზიის ვიტრინაში. Walt Van Beek - artist, lives and works in Brussels. founder of WaiWai Space, an independent art space in the centre of Brussels with the intention to show his own work, works by other artists and to collaborate with other venues. Inge Vandensande - Graphic designer, lives and works in Brussels. Runs the project M’ATUVU, a place for cool events, exposition, concert or whatever in funky shop window in Brussels city center. ვალტ ვან ბეკი (დაიბადა 1981 წ. ანტვერპენში), ბელგიელი ხელოვანი, ცხოვრობს და მუშაობს ბრიუსელში. 2009 წლის დასაწყისში ვალტ ვან ბეკმა დააარსა WaiWai Space, დამოუკიდებელი სახელოვნებო სივრცე ბრიუსელის ცენტრში იმ მიზნით, რომ გარდა საკუთარი ნამუშევრებისა ეჩვენებინა სხვა ხელოვანების ნამუშევრებიც და ეთანამშრომლა სხვა სახელოვნებო სივრცეებთან. WaiWai Space წვლილი ბრიუსელის სახელოვნებო სივრცეში მნიშვნელოვანი და საყურადღებოა. მის ბოლო დროის ნამუშევარში Gläser (განვითარებადი პროექტი), ვალტ ვან ბეკი განიხილავს ნივთების წარმავლობის საკითხს და ცდილობს ამ იდეის აზრის წარმავლობაში გარდაქმნას. Gläser წარმოიშობა პირადი კავშირიდან და პერსონალური მიზიდულობის ნიადაგზე, ეს არის სიყვარული მიტოვებული და დაკარგული ნივთების მიმართ. ეს არის დროის კრისტალიზაციის მცდელობა პროცესის უკან მობრუნების საშუალებით, სხვადასხვა ვითარებაში სტაბილურის თხევად მდგომარეობაში გადაქცევით, რაც საბოლოოდ უსასრულ გამჭვირვალობას გამოიწვევს. პროექტის პირველი ნაწილი ნაჩვენები იყო Zennestraat 17, თებერვალი/მარტი 2010, ბრიუსელში. 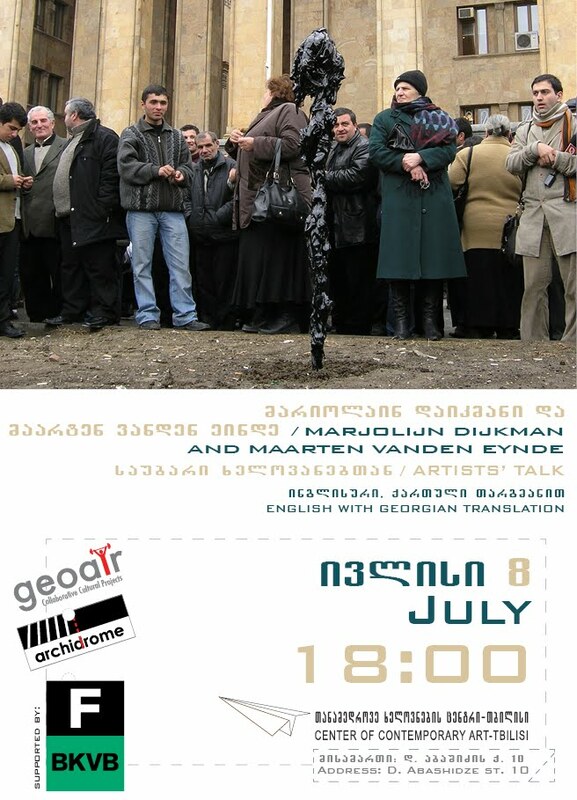 შემდეგ პროექტი გაგრძელდა ვერბეკე ფონდში (Verbeke Foundation), სადაც 2010 წლის აპრილ-მაისში ვალტ ვან ბეკი იმყოფებოდა რეზიდენციაში. ამჟამად ვალტ ვან ბეკი არის სტამბულში, პლატფორმ გარანტის (Platform Garanti) რეზიდენტი. Walt Van Beek (born 1981 in Antwerp), Belgian artist, lives and works in Brussels. 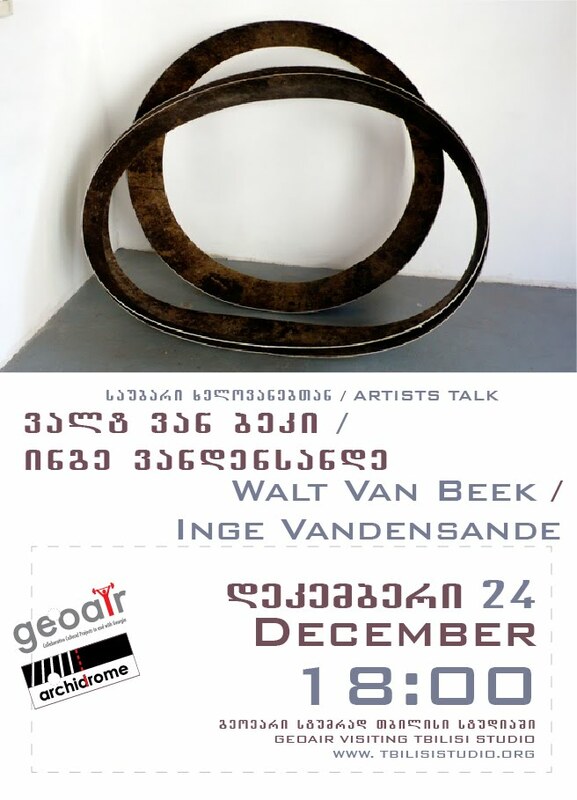 Walt Van Beek studied Interior Design before starting WoutWalt, a design studio in the centre of Brussels. WoutWalt is a Brussels-based creative duo (Walt Van Beek and Wouter De Raeve). WoutWalt’s early work mainly focused on WoutWalt projects, soon followed by work for cultural clients (Bozar, Zinneke, VICE…). WoutWalt does visual work, gives lectures, makes cookies, installations... 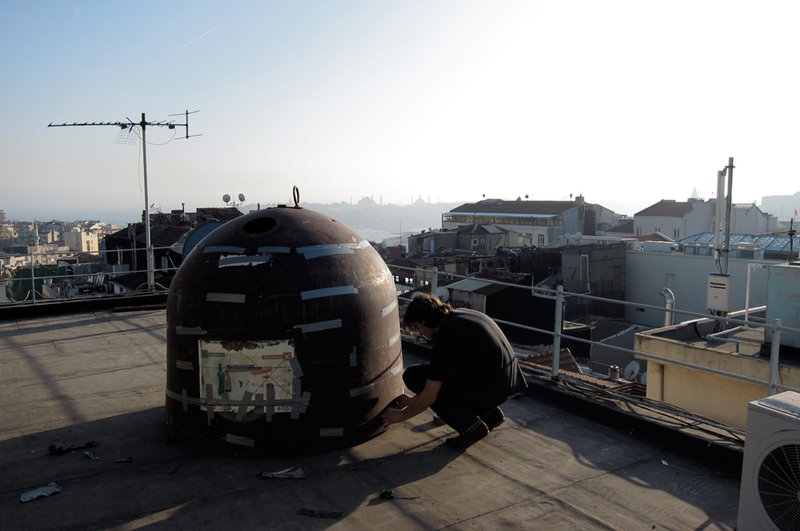 Early 2009 Walt Van Beek founded WaiWai Space, an independent art space in the centre of Brussels with the intention to show his own work, works by other artists and to collaborate with other venues. Its contribution to the Brussels art scene has been significant up to date. 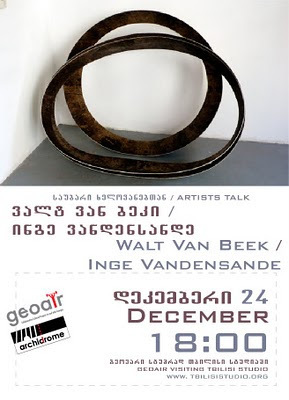 In his recent work: Gläser (work/project in progress), Walt Van Beek questions the transitoriness of an object and tries to transform that into a transitoriness of thought. Gläserbol arises from an intimate relation and a personal attraction; and is the love for a banned and lost object. It is an attempt to crystallize time by reversing the process, from stable to fluid in different circumstances which would then in principle evoke endless transparencies. 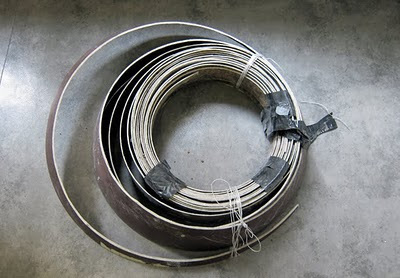 The work was continued at Verbeke Foundation, where Walt Van Beek was working as a resident artist from April until May 2010. Currently Walt Van Beek is a resident at Platform Garanti Istanbul.